Wishing everyone a happy cleaning! We will explore various schools of thought about the use of technology to enhance learning. The different philosophies will be expounded upon so that we can choose how to include them in our children’s education. It is hard enough when a dear child is sick, but what happens when you are sick? It is very easy to feel guilty when you cannot teach but the truth is, sometimes the teacher is sick. In a school, they bring in a substitute teacher. Sometimes the substitute teacher can go on a bit in the lessons, however, many times they are more like a babysitter and the students get fun things to do to pass the time. Life happens, it’s okay. So, if schools can do it, why can’t we? Think of it as a snow day. Occasionally the weather has it so that the principals decide they have to shut down schools for a day or two. What happens then? Well, the students do not get any learning done in school. When we, the teachers, get sick, we have to accept it and do what we need to do to make ourselves better. Call a snow day. Many times the hard part really comes when we need to figure out what to do with our children while we are sick. A teacher in a school just calls up the school and calls in sick. Unfortunately, homeschooling parents do not have that one luxury. Sometimes there are friends that we can call up and pawn a child or two off on, at least for a few hours so we can rest. Many times we cannot. Many times the children are left to mostly “fend for themselves” while we just show our presence to make sure the house stays standing. Letting children keep themselves busy while we recuperate can be very stressful in itself. Unless one has a maid or a nanny to help around the house, and/or the children are all mature, responsible teenagers, the house will most likely be messier than usual. This anticipation of the messes can put extra stress on the sick parent as they try to prevent disasters. This in turn can prolong our sickness for instead of resting so our bodies can focus energy on healing, our bodies focus on moving and talking and thinking, leaving not much energy to fight off the illness. What are some tips to help us cope? 2. Have extra board/card/other games that the children do not usually get to play to create new excitement and keep them busy. 3. If you are not too awfully sick, and feel you need/want/can, teach the easy stuff to teach while sick. Perhaps you can read a book out loud, or take turns reading. Many times keeping a skeleton of a schedule can help keep a child on track for the day. 4. If the weather allows, make them go OUTSIDE! 5. Above all, ALLOW for a messy house. Lower your expectation. After all, they are just children. Focus on what really is important. Are they safe? Are they fed? Peanut butter sandwiches are fine multiple times a day, and so is cereal. It is okay if occasionally they do not get all the proper food groups. Rest, and feel better. You can clean the house when you are well. As I am finishing this post, I think I can go back to bed. It is 5:30 am and I think the Tylenol has kicked in enough for me to try to sleep. Last week a few of the boys got sick, were in bed with fevers for a day or so, and then about back to normal. As Day 3 comes along for me, I am struggling to come to terms that it takes longer to get better as we get older. I am thankful for small things though – all the boys were angels yesterday, and I even had a few come up to me asking me if I needed anything (*love*), and even though Daddy was home sick (he’s never home sick, even when he is sick!) it was so nice to have his company. Oh, and don’t forget to tell the children that you love them and thank them for any tiny amount of good that they did, that really does make a difference! Knock, knock! I’m not here, go away! It is almost 11pm and I should be sleeping. However, I just came back from grocery shopping for the week. This was the only time I was able to do it. There are inches of mud piles all over the breezeway thanks to the wonderful emergence of Spring (B”H!) My kitchen was not cleaned up from supper, I have a broken computer on the main table that we are trying to salvage all our information from via Ubuntu for it does not boot up otherwise (yes, I dropped it ever so nicely on the floor. Positive note – we bought the full coverage warranty that covers drops and as soon as I have about 30 minutes to talk to Dell I will, IY”H.) Our basement bathroom has decided to take in water from the outside over the last year, and there is a nice pool of water on the floor now. Not to mention we are having family over starting tomorrow at about noon. I don’t think I’m teaching tomorrow. Last week, on the homeschool curriculum list that I am on, there was an email from a mother who admits she hides in the bathroom to eat ice cream. In response, another mother wrote back and was in tears from laughing for she hides in the closet so that she can eat a whole chocolate bar all by herself. There were many emails that came flooding in response to this one mother who hides in the bathroom to get a few moments of “self” time. Life can be stressful at times. This goes for everyone – even children – not just a homeschool parent. However, for a parent who is at home with their children all day, every day, and every night, it can be harder to deal with. If the other parent is able to be home and help out a bit in the afternoons/evenings, that helps. Some fathers are able to help teach their children a bit, others cannot for their work hours do not let them. We all need our “me” time. It is hard sometimes for children to understand. I had one boy who wanted to go out, just the two of us, and I had to tell him no. Trying to explain that Mommy needs to go out by herself, and only herself, not with any other beautiful boy in tow, is hard. It is not that we do not love them, and it is not that we do not want to be with them (hey, if that were the case, I would not be doing what I’m doing!) it is that sometimes we all need to rejuvenate and change things around so that we feel refreshed and are ready to get back into things. In our house, the alarm goes off at 7am (sometimes earlier). My husband and I get up. Between getting my husband off to work with a shirt and lunch, making sure the boys are up and do their breakfast routine, school, lunch, piano teaching (my “other” job) and supper, I do not get a break until after 8:30/9 in the evening when the boys go to bed (aside from a few minutes at lunch.) Finding “me” time is tough, which is why I requested to go shopping all by myself tonight – without even my husband, and which is why I only left after 9pm. I don’t usually go that late, for I usually get to go shopping on the weekend, but it did not work out this week. Author adminPosted on March 12, 2012 Categories HomeschoolTags Homeschool, self timeLeave a comment on Knock, knock! I’m not here, go away! Only a homeschooled child…… 🙂 This is coming from a boy who struggles to read, but is able to read one of his books. He enjoys it and he is very proud of that fact that he can read it. This book is all about the life of, well, you guessed it, Shakespeare. Of course I did try to do a search for Shakespeare, but we only found a costume for Juliet. He settled for a policeman. Many religious homeschooling parents wonder if their child is learning all the religious materials that the children are learning in school. It does not seem like the secular subjects are too much of a worry, but it is all the hebrew/chumash/dikduk/navi/mishnayos, etc. After all, only teachers in schools are qualified to teach the religious stuff. If a child is not in a school, then that child will not learn what needs to be learned, and that child’s neshama is deprived. I have to mention that not all communities are negative towards homeschoolers. Of course, like all other parents, we want to give our children the best possible yiddishkiet background as we can, and are always wondering if we are doing the right thing, what can be better, etc. When we were first starting out, the main website that I found was Torah U’Mesorah. I was able to request a catalog so that we could purchase different workbooks and textbooks. They also have a sister site: Chinuch.org. It is a religious website that has content that is contributed by teachers for other teachers to use and the best part is that it is free! When my oldest was in first grade, I found a wonderful workbook/worksheet set for Parshas Beraishis on Chinuch.org. I also ordered a workbook on the Morning Brachos/Shema. This was the kind of stuff they learn in the schools. My son was going to have the same education. So our grade started, and I was very excited about the Chumash worksheets. For a few months we worked through our sheets and book. Then, one day, it happened. My son and I were sitting at the kitchen table doing our various lessons. I told my son it was time for Chumash. “Do I have to do it?” “Yes.” “Can’t I take out my brachos book today instead?” Huh? What? I have heard that if one is excited about something (and shows it), the other person will get excited about it too. I *THOUGHT* I was showing my excitement for Chumash — I personally preferred the Chumash over the brachos book! And here was my son telling me he hated Chumash. Now, that was the last thing I wanted. 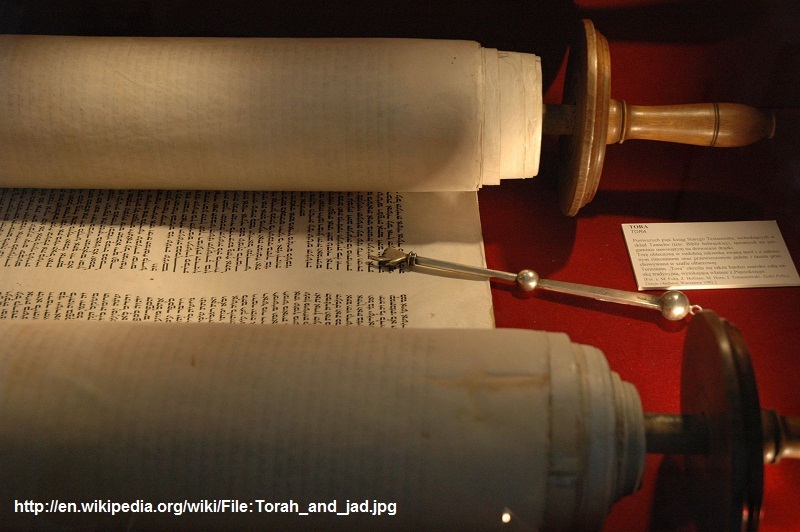 I did NOT want my son to hate learning Torah. That day I told my son that yes, we did have to do Chumash. However, I put it away after that lesson. We finished our brachos book, and I spent some more time focusing on parsha for the next several months. After this incident, I had to rethink my whole thinking process regarding our homeschooling. What was my goal? Was my goal to teach what they taught in school? It took a bit of soul searching, but I finally came up with something concrete. I do know that there are other train of thoughts on this matter, but I need something that works for our family, for our children. My goal is not to necessarily teach what others teach. My goal is to have our children love Hashem and to love Torah and mitzvos. I want my children to know how to learn, to want to learn, and to have the time to learn. Unlike learning how to read, or learning math skills, you do not have to go through Torah in a specific order. Learning is not what how much you have learned. I believe learning is the fact that one IS learning and loves to learn. If one loves to learn, then they will continue to learn and the knowledge will be there, and hopefully, and then some. Once that was laid out very clearly in my mind it became easier to decide what to do. He did not start immediately for I believe we started our summer, and we do take summers off in general, at least for a good part of it. We all need our breaks. However, he did get to start his Chumash as soon as we started school again, not with me, but with his new Rebbe, Rabbi Resnick. Room613.net had just started up, and I enrolled my son in his classes. Did I do the right thing? You tell me. My son loves to learn – Chumash, Navi, Mishnayos… he enjoys it all. Would I make the same decision over again? I do not have to say it, but, yes, yes I would. Wishing you all a Freilichin Purim!